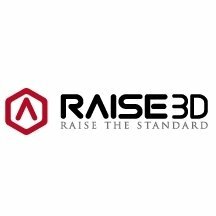 Raise 3D is a company that designs and creates professional 3D printers. Raise 3D printers are large format printers that have a wide high-definition touch screen to facilitate the setting of print parameters. They are also equipped with a dual extrusion system. The brand Raise 3D offers you large format printers of professional quality. Makershop3D offers you 2 large format 3D printers from the Raise 3D brand, the N2 Dual and the N2 Dual Plus. The N2 Dual printer from the Raise 3D brand has a large touch screen, WiFi connection, but also SD/USB. It has a wide plate that enables it to print pieces measuring up to 30cm3 in several colours thanks to its dual extrusion. It allows you to print large format pieces of many colours and all with an accuracy of up to 10 microns. Makershop3D also offers the Raise 3D 3D printer N2 Dual plus which is a large format printer that has a very high printing volume of 305 x 305 x 610 mm which allows you to print very large pieces in one go and with an accuracy of 10 microns. It is compatible with all types of materials and like the it N2 Dual is completely closed enabling it to produce more successful prints, but also to reduce exposure to the particles emitted during printing. If you want more information beforebuying a Raise 3D printer please contact our technical support team via the contact section of our website. 4 198,80 € Tax incl.